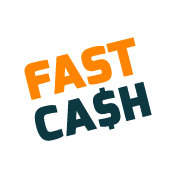 Need fast cash? A cash loan Australia can really come in handy when you suddenly find yourself over stretched. Had an unexpected bill arrive like a speeding fine? Did all your bills arrive at once? Trying to save by paying bills annually rather than monthly? Cash Loans Australia can help you to get your finances back on track when an unexpected bill arrives, or your finances are stretched. Pay your bills today and pay back you cash loan tomorrow.